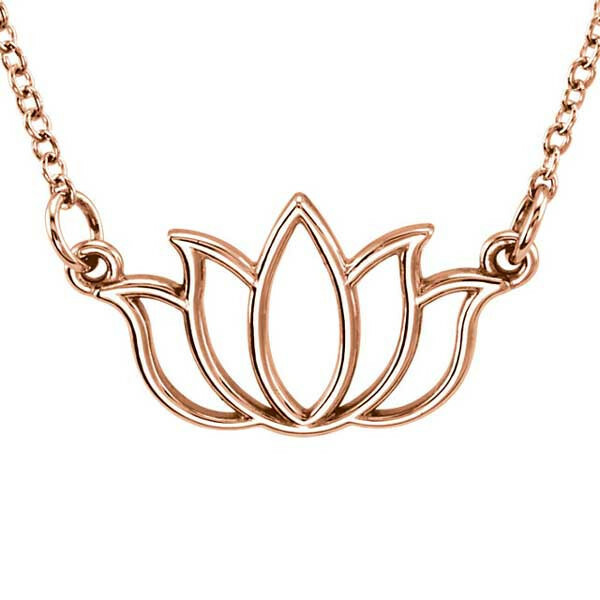 This necklace in the shape of a lotus flower is an eye-catching representation of an exotic plant. Crafted in 14kt rose gold, five petals form a beautiful focal point. The blossom hangs from an 18" chain. Add this beautiful necklace to your jewelry collection today!